We schmeared it on freshly baked and toasted peasant bread later that afternoon and lamented its quick disappearance. We returned for more, but it was for naught. Everyone wanted the maple bacon cream cheese. It was gone. Fear not, dear friends of the Internet, for I have come to save you with this amazing recipe, so you, too, can schmear it on your breads and your bagels to your heart’s content. ‘Tis the season for candied bacon and all things maple to fill your bellies and warm your hearts. 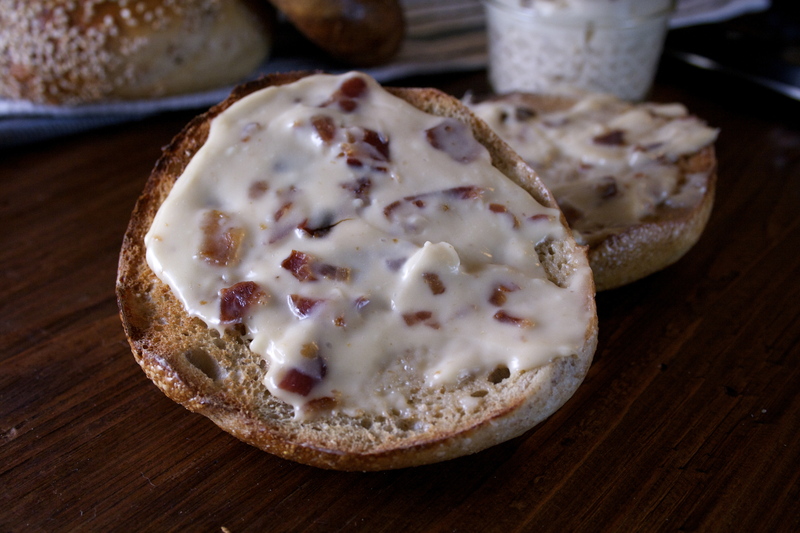 ‘Tis the season for maple bacon cream cheese. Adjust an oven rack to the upper third and preheat oven to 375 degrees. 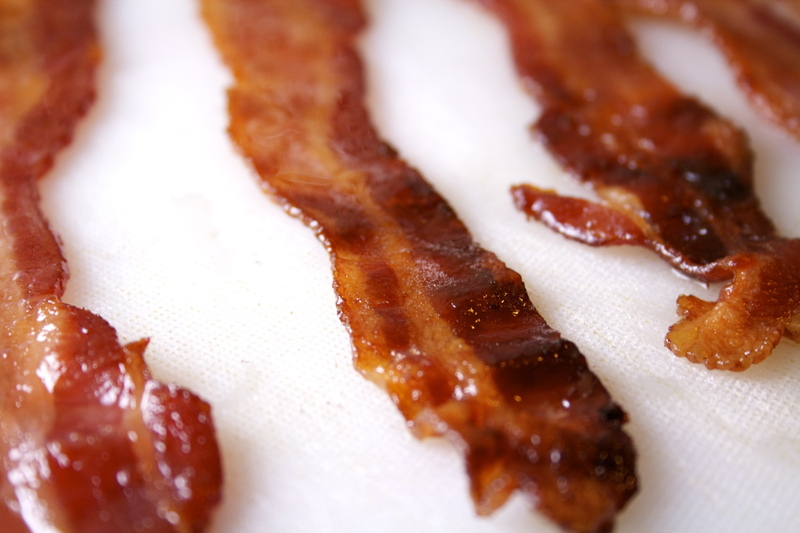 Line a baking sheet with aluminum foil and lay your bacon out in a single layer, taking care not to overlap. 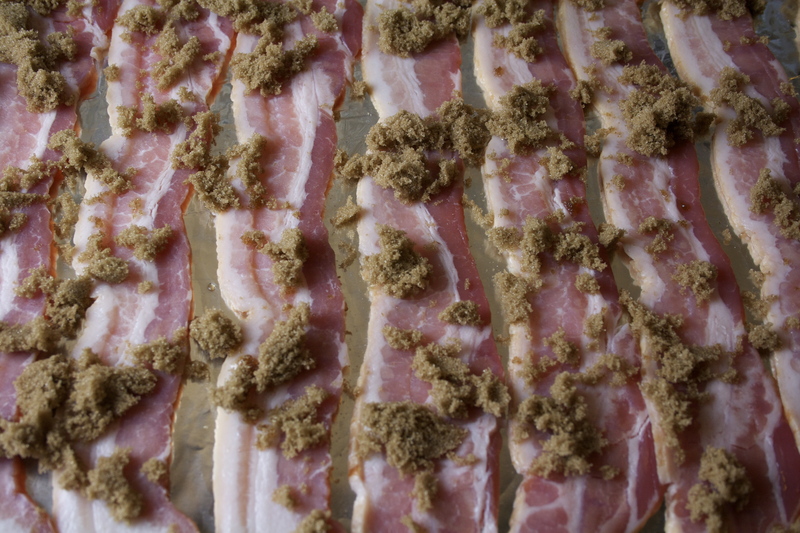 Sprinkle the brown sugar evenly over the bacon. Bake for 15-20 minutes, or until the bacon is crisp to your liking. Remove to a cutting board to cool. 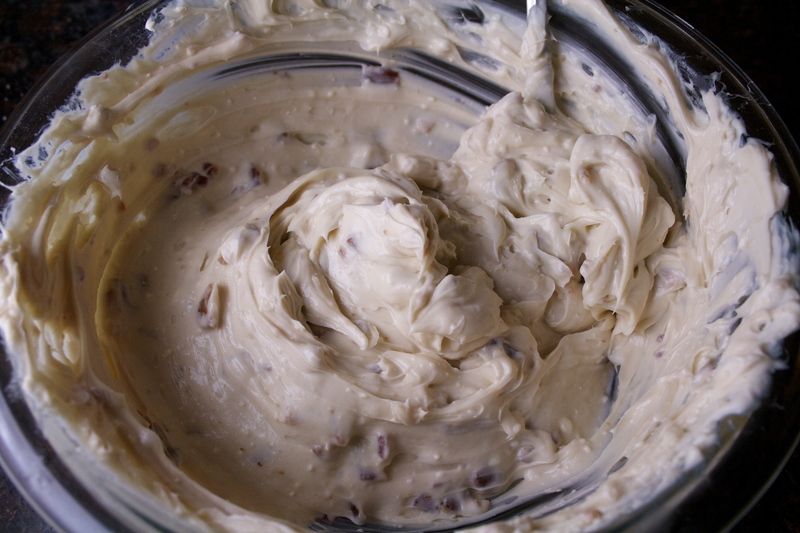 In a large bowl, mix your softened cream cheese and maple syrup with a hand-mixer until combined. 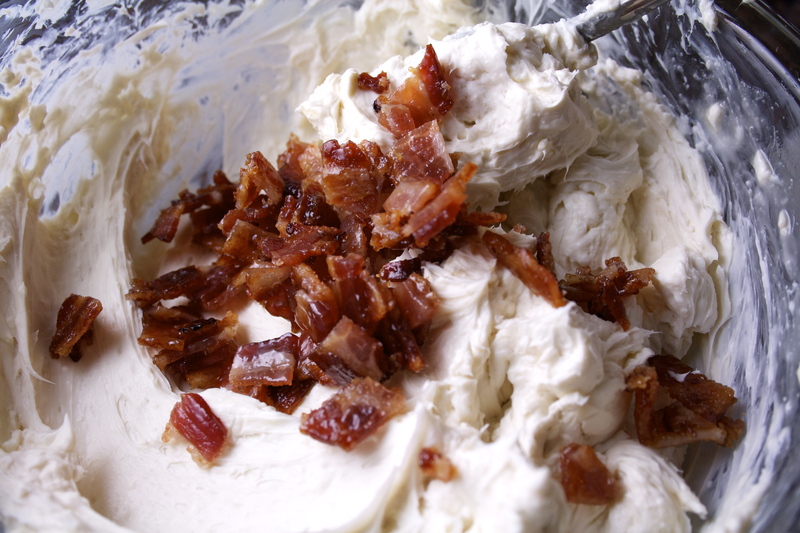 Chop up your bacon into small bits, and add them to the cream cheese, stirring with a spoon to incorporate. 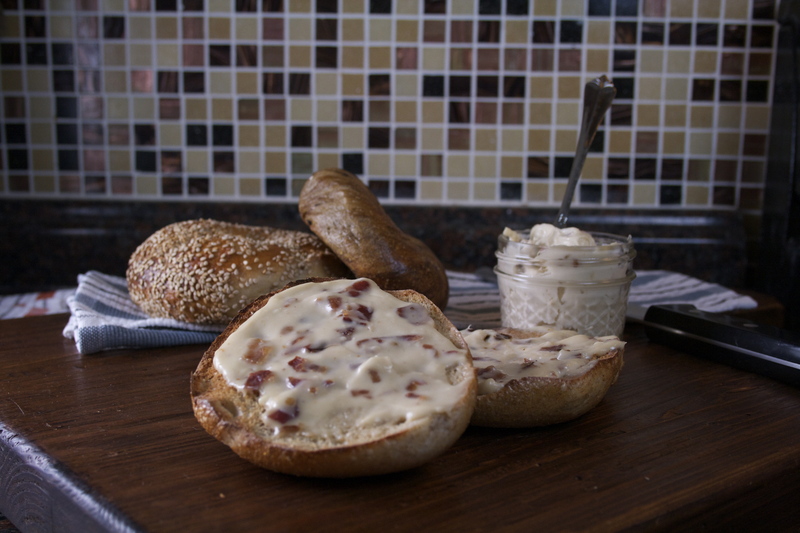 Best enjoyed as a hearty schmear on your favorite bagel or crusty bread.